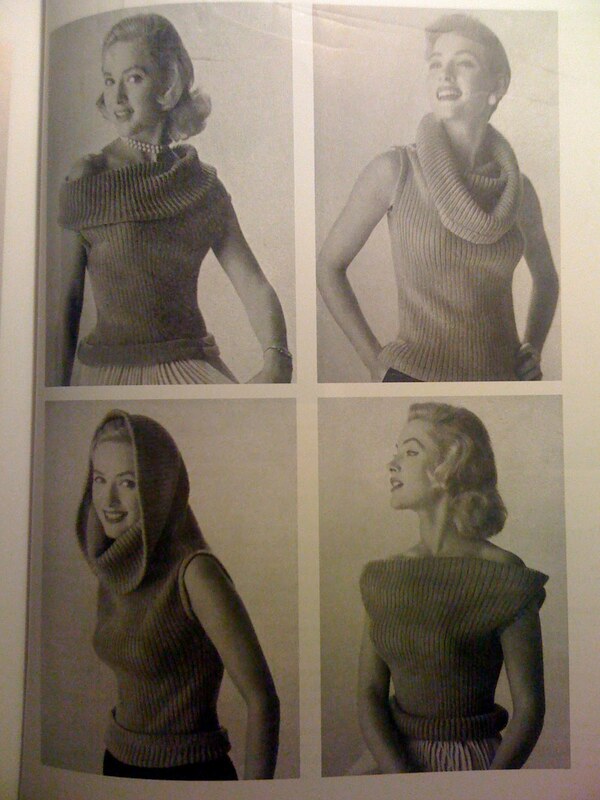 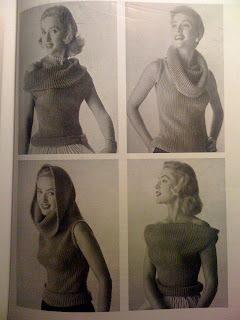 This fantastic pattern is from Jane Waller's Knitting Fashions of the 1940s. 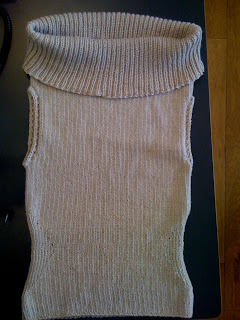 The Gimmick is a fantastically versatile sleeveless pullover with a long neck that can be worn several different ways. I modified the original pattern to have a slightly shorter neck, to reduce bulk and added in a diamond shaped 1:1 rib pannel at the waist on each side to add shaping.